The Portugal National Football Team also known as The Navigators represents Portugal and is controlled by the Portuguese Football Federation in association football. Their head coach is Paulo Bento. In 1966 FIFA World Cup was their first appearance in the history of World Cups. They reach the semi-finals, losing 2–1 to England. Portugal have produced some very talented and skillful players such as Eusébio, Fernando Peyroteo, Mário Coluna, Humberto Coelho, Paulo Futre, Ricardo Carvalho, Nuno Gomes, RLuís Figo, Vitor Baía, Pauleta, Ricardo Quaresma, ui Costa, Miguel Veloso, Deco, Nani, José Aguas, Hélder Postiga, Raul Meireles, João Moutinho and our favourite, the famous and talented Cristiano Ronaldo. They Confederation is UEFA Europe. The recent captain of the team is Cristiano Ronaldo who also the top scorer in the team (47 goals). Portugal's home stadium is the great Estádio Nacional. Their FIFA ranking with POR code is 4 with 1219 pts. They have six World Cup appearances and their best place is third in 1966. They also have six European Championship appearances and their best result is runners-up in 2004. These are the current players in Portugal. I hope in 2014 this year, Portugal will win the World Cup with captain C. Ronaldo. They are the bests and they deserve this glory. Watch the World Cup and cheer to Portugal! Our very favourite player is C. Ronaldo! We're sacrifice this post to him. You can rad here some info from he. He is 186 cm height. His full name is Cristiano Ronaldo dos Santos Aveiro and he was born on 5th of February 1985. You probably know, he is a Portuguese footballer who plays as a forward player for the famous Real Madrid which is a Spanish association football club and captains the Portugal national team. He is the most expensive footballer in history becouse he moved from Manchester United to Real Madrid in 2009 for £80 million. He was the first Portuguese player ever in Manchester United from 2003 to 2009. On 26 June 2009, he moved to Real Madrid and now he is a forward. Ronaldo earned his first cap in 2003 for the famous Portugal versus Kazakhstan match as a Portuguese player. Portugal won 1-0. Ronaldo has a child. Ronaldo has dated English models Alice Goodwin and Gemma Atkinson and Russian model Irina Shayk. As a club player, in Manchester United he shot 118 goals and 292 apps, in Real Madrid he shot 233 goals and 230 apps. As an international Portuguese player, he shot 47 goals and 109 apps. When we talk about football, the biggest event isn't the summer Olympic Games. The biggest event is the World Cup! The FIFA World Cup. FIFA World Cup held every four year. Last time it was in South Africa in 2010. This time in 2014 the organizer is Brasil. It will be very exciting. Everybody watch FIFA World Cup even those people who are not interested in football. These are the 2014 year qualifiers. The total is 32 teams. The FIFA World Cup will take a month from 12 June to 23 July. For the latest news and information visit FIFA's site. The match ball be will the Adidas Brazuca. It's a pretty ball which name was choosen by more than one million Brazilian football fans. Brazuca recieved over SEVENTY percent of the Brazilian voters' vote. This is the forst match ball named by football fans. To see the Groups, check out FIFA'S site! In England there is a respectable daily morning newspaper called The Daily Telegraph. The Daily Telegraph was founded in 1855. Their website have compiled a list about The Top 25 football websites. I will write a short description about the top ten. For the whole list click here. Section: humour. There is a blog on sports.yahoo.com and the main topics are culture and football of course. Section: humour. This site has many blogs, the most popular are blogs bout Liverpool, Juventus, Real Madrid etc. On this site you can find the latest news in football. Section: humour. There are some information about everything in football. Section: humour. The Guardian says: "A splendid nest of football and humour". Section: communities. They write their own thoughts but always asks readers to post what they're thinking. Former name: 3nil. Section: comminities. This is the site "where football supporters meet". You can log in with your facebook account. Section: communities. This is a huge community but the website also publish football news. Vital Football is an independent fans network and it was launched in 2005. Section: statistics. It is a good statistical tool. You can find here the latest news, results and other useful stuffs. Section: statistics. This site is a reference point for results. It has an userfriend surface. Section: statistics. It was founded in 1994. These are the Top 10 football websites according to The Daily Telegraph. Enjoy browsing! What's the same between soccer balls and diamonds? 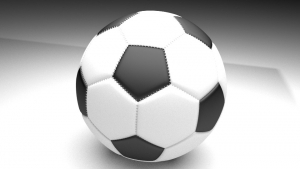 A football ball has the round shape just like a round diamond. To read more about diamonds' shapes please click here! We illustrate the similarities with images. Below the text this is a soccer ball, below the soccer ball's photo this is a round shaped diamond. You can notice the same, round shape. 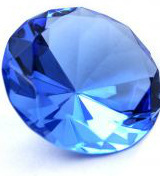 If you click on the picture above (round blue diamond), you will redirect to a pretty article about blue diamonds where you can buy beautiful stones. If you click on the picture above the blue diamond (soccer ball), you'll redirect to a good site about soccer balls where explain how to buy a soccer ball online. Of course, the soccer ball aren't really a round shaped ball just like as round shape diamonds have not got round shapes. The ball of association football has a spherical shape, and their shape, wight, size, material composition are specified by Law 2. The Law 2 is in the "Laws of the Game" (of course laws of the assocation football game) maintained by International Football Association Board and the standards are specified by Fédération Internationale de Football Association better known as FIFA. Diamonds have really different shapes but the most famous and popular shape is the round brilliant. The whole diamond has an octahedron shape but themajor part is the crown that has the close to round shape. The diamond consists of tables and facets. Tables are the part which parallel to the ground (usually the biggest part of the crown) and facets are the lower part. Diamonds are alwasy symmetrical to (minimum) one axis. These are the important things about soccer balls' shape and the similarity between soccer balls and brilliant round cut diamonds.